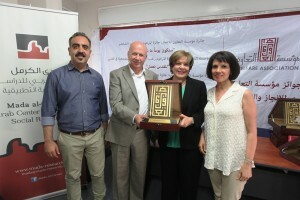 In continuance of its agenda of promoting excellence and creativity among the Palestinian people and heritage among the community, and as a token of respect to institutions that have accomplished unique goals in assistance of the social, cultural, and economic development of the Palestinian people, as well as to pioneering individuals working in service of Palestine, the Welfare Association distributed its awards for 2014 in Haifa on Wednesday June 3rd, 2015. Mada received the Welfare Association’s SaNakon Yawman Ma Nureed (One Day We Will Be What We Wish) award for accomplishment, dedicated to the late Abdel Aziz al-Shakhshir. 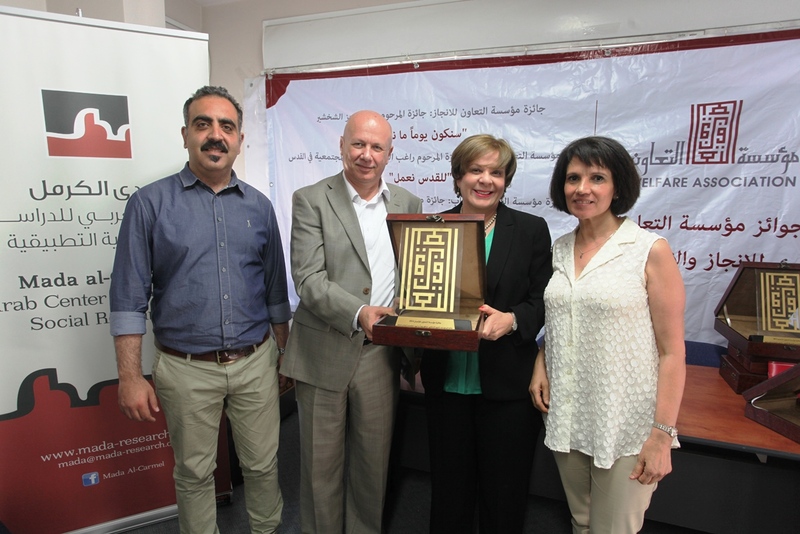 Mada received this award in recognition of its excellence in the field of academic production on historical, political, social, and economic issues faced by the Palestinians in Israel.